Microcap Millionaires - Recommendation Service Based on Benjamin Graham's Value Investing Principles. Microcap Millionaires is a service that's based on the principles of Benjamin Graham i.e deep value investing. The service aims to identify/recommend a group of stocks, mostly microcaps, where there's not only a definite rule for buying as well as selling but also a limit on how large this group should be. Benjamin Graham has outlined another very important rule for such kind of a service. He was of the view that equity exposure should be at its maximum when the valuations of the broader markets are favorable and it should be minimum when the valuations are not so favorable. Holding the remaining corpus in instruments like fixed deposits during both of these scenarios would be an idea worth implementing. The service consists of a monthly report which will not only give stock recommendations from time to time but also give the subscribers suggestions on how best to use the flexibility of increasing or reducing exposure to equities based on the overall market conditions. Besides, the reports will also cover issues which are relevant to the stock markets and value investing. Since the service deals with micro caps, they are diligently analysed with respect to their operational and financial strength and only recommended when according to us they are available at a discount on readily ascertainable parameters like book value and sustainable earnings. The reports are published on or before the 20th of every month. What is the goal of Microcap Millionaires (MCM)? The services' goal is to find microcap stocks where the downside to upside ratio is firmly in favour of the subscribers and that could lead to generatinge strong returns from fundamentally strong but attractively valued microcaps. What does Microcap Millionaires offer? The MCM report will include stock recommendations and it will also give the subscribers suggestions on how best to use the flexibility of increasing or reducing exposure to equities based on the overall market conditions. Who is the editor of Microcap Millionaires? 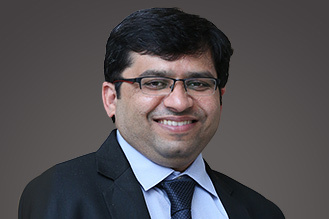 Rahul Shah (Research Analyst), the Managing Editor of Microcap Millionaires, is also the Co-Head of Equitymaster research team. He has led the team from the front in developing some of Equitymaster's most stringent and rewarding research processes. He firmly believes that in order to be successful at investing, you have to do the big things right and possess a great temperament and a contrarian streak. The MCM reports come out monthly, on the 20th of every month. So there would be a minimum of 12 reports on an annual basis. The home page of MCM on our website has a status of the current MCM recommendations in terms of stocks that currently are in open position. Besides, the table also gives subscribers a broad guideline on how the equity exposure stands vis-a-vis the exposure to bonds. Will stocks with low liquidity be recommended? Given the nature of the product, the fact that there will be stocks with low liquidity cannot be ruled out. There is always the possibility that these stocks may shoot up in price in no time, even at the time of our recommendation. We try and alleviate the problem of stocks going up at the time of our recommendation by way of two fail-safes. For one, we ensure that the stocks that we recommend are above a certain liquidity threshold so that there is enough liquidity to absorb the buying pressure. This helps lessen the effect of the buying pressure on the stock price on that day. Secondly, we ensure that when we recommend stocks, the upside potential is in the range of 50%-100% at the very least. This helps with the fact that even if the stocks are bought after a slight upward movement in their price, they still have enough potential left in them to make them lucrative bets. Thus even after the increase, the stocks can still be bought as long as they are trading below the level highlighted in the report. Will only 'microcap' stocks be recommended? We would like to emphasize a very basic feature of the Microcap Millionaires service here. The service has not been named so because the team in charge of it searches only for 'microcaps' to the exclusion of everything else. Its pursuit is more to do with recommending a diversified set of stocks that end up trading very cheap in the markets from time to time. One of the ways in which we try and meet this goal is by recommending stocks that are available at a discount to their estimable earnings power or book values. What we realized early on is that quite frequently, many of these stocks end up being from the so called 'microcap' category. And that's why we named the service so. The goal of the service is to outperform the returns delivered by the BSE Sensex over a 3 to 5 year period. I want to know more about Microcap Millionaires. How should I proceed? What Microcap Millionaires does not offer? Microcap Millionaires is a generalized recommendation service. We do not offer customized opinions for any particular subscriber or class of subscribers. We are not qualified financial advisors nor Investment Advisors and we strongly recommend our subscribers seek professional advice before taking any decisions for their investments. We are delighted to inform you that you can try Microcap Millionaires completely risk free! There's a 30-day money back guarantee. So if it turns out that you don't like Microcap Millionaires, we'll gladly give back every rupee you paid.